Jay graduated from the University of Michigan in 1988 with a Bachelor of Arts degree in Political Science. In 1991 he graduated with a Juris Doctorate Degree from Wayne State University of Law in the top third of his class. During his time at Wayne State he participated in their Student Trial Advocacy Program and was inducted into the National Order of Barristers. He also held summer law clerk positions with major firms in the area and served an internship with the Supreme Court Justice, Dennis W. Archer. 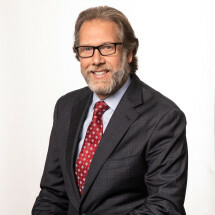 Mr. Schwartz was admitted to the Michigan State Bar Association and the U.S. District Court Eastern and Western Districts of Michigan, the U.S. Tax Court in 1992, the U.S. 6th Circuit Court of Appeals in 1998, and is a member of the Oakland County Bar Association. Mr. Schwartz has been selected to and is a member of the American Arbitration Association's Roster of Neutral Arbitrators. He has been admitted to practice in Federal and/or Courts in New York, Ohio, Indiana, Texas, Colorado and North Carolina. He is a state certified mediator and has been Court appointed as a case evaluator in Wayne, Oakland, Livingston and Macomb counties. In 2007, Mr. Schwartz was inducted into the Million Dollar Advocate Forum, an organization recognized as the most prestigious group of trial Lawyers in the United States. Membership to this group is limited to attorneys who have won million and multi-million dollar verdicts, awards and settlements. These attorneys have demonstrated in an objective and tangible way, their ability to accomplish superior results in complex cases. Less than 1% of U.S. lawyers are invited to be members in this prestigious organization. In 2008, he was invited to be a Platinum Member of The Verdict Club. Member lawyers are nominated by fellow attorneys, certified as being exceptional in their fields and have experience in all major practice areas. Membership in this club is highly exclusive and reserved for only those lawyers who have a reputation of extraordinary verdicts and settlements exceeding one million dollars or more. During Mr. Schwartz's career he has represented a broad range of individuals and entities, both Plaintiffs and Defendants, in claims that sometimes involved tens of millions of dollars. In the years of 2007, and 2011 - 2014, Mr. Schwartz was nominated to Super Lawyers. Most recently, he was awarded The New York Times, Top Attorneys In Michigan--2012 - 2014.